Animal Aid has been helping people and their pets for 65 years and each year we receive around 6000 animals at our Coldstream, Sale and Bairnsdale shelters. We provide a comprehensive range of animal welfare services; we reunite lost pets with their owners, provide veterinary attention and animal rehabilitation therapy and offer the chance for lost and abandoned animals to find a new and permanent home. Animal Aid has a clear vision and commitment to the ideal of animals and humans living in harmony. We operate as an “open door” shelter and never refuse an animal in need. We recognise our responsibility to rehome only temperamentally sound and healthy animals and to achieve a rehoming program that provides quality of life for animals and their new owners. Animal Aid caters for just about every aspect of pet ownership, complimentary to our adoption program we provide professional veterinary and grooming services, boarding facilities for cats and dogs and behavioural advice and training for all pets. Animal Aid is a not for profit organisation that does not receive ongoing government funding. We therefore rely on the generosity of the community to continue our important work. 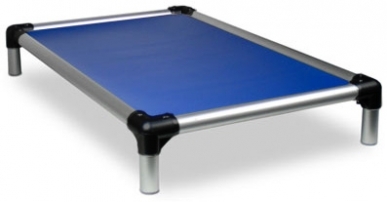 Please support us by donating a Kuranda Dog Bed to our animal welfare organisation.